This week I open a show with Screaming Monkeys, a theatre company that focuses on providing a theatrical outlet to the marginalized communities of Toronto. I’ve been working off and on with them for about six years now, and wouldn’t you know it, this year is their 10th anniversary! To celebrate they’re performing a sort of clips show of favourite scenes and skits they’ve done over the past ten years. Here is our poster! Wheee! I am reprising a couple of my past roles. I am nervous. Is it the fact that those past roles were some of my most challenging characters to portray both emotionally and physically and revisiting them is incredibly daunting? No. Is it because I fear being compared to the past glory of older performances? No. It’s because six years ago I was made to endure a test so horrific, so traumatizing, that I hoped that I would never have to visit it again. I hoped to put it behind me. But this show has brought the past back to haunt me. 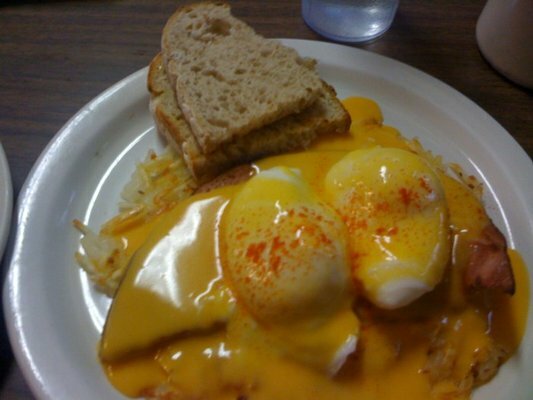 I must once again…consume Cheez Whiz on stage. The “duh duh duuuuh” music is implied. Those who know me know of my tumultuous relationship with cheese. It does not touch me and I do not acknowledge it. Since growing older I have made certain concessions: cheesecake is delicious, old crumbly cheese is extra delicious, and Cheetos are always welcome. But anything else, especially if it’s melted, is pretty much poison to me. 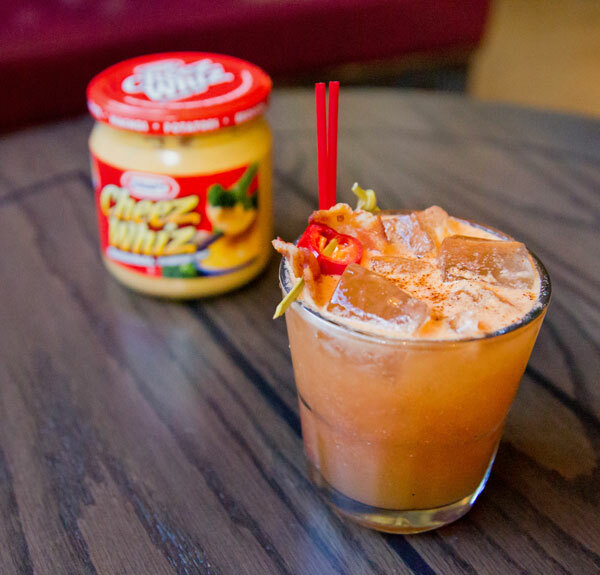 Cheez Whiz is at the top of this list. 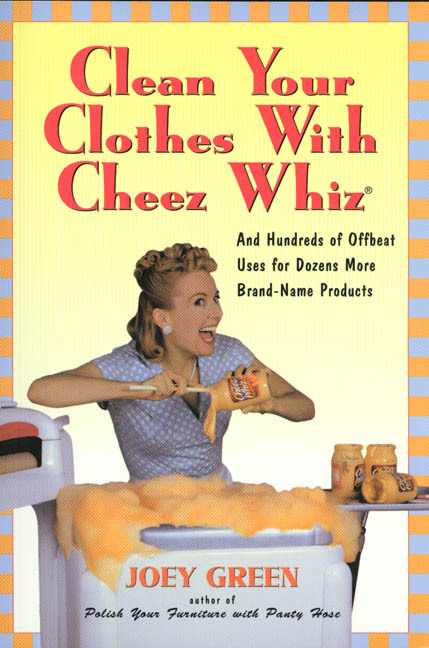 I am not sure how it has endured or what brainwashing ad campaign they came up with to make Cheez Whiz a thing for so long. It is not remotely delicious. It is not even food. I am certain of it. And yet it is still consumed by what I assume is a population without hope. Congratulations! 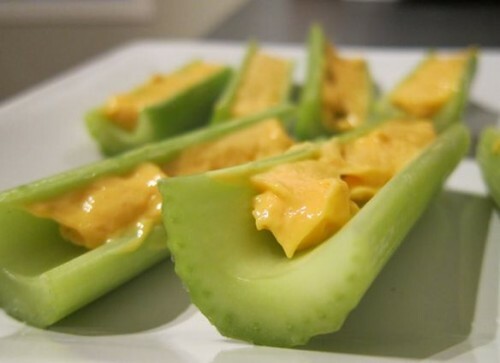 You just made celery unhealthy AND gross! A difficult combination. When I was in grade 2 my mom made me a cheez whiz sandwich for lunch. It was, to date, the most traumatizing ordeal of my childhood. And I was bullied so that is saying something. Just smelling it makes my gorge rise. And yet, for the sake of my art I pretty much ate it straight out of the jar three nights a week for three weeks. 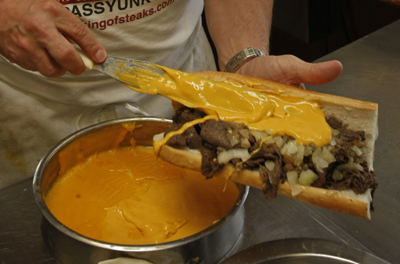 Apparently a proper philly cheesesteak is done with Cheez whiz. I say it just ruins good steak. For context, I am playing a homeless Newfie woman who asks another homeless dude if he has any food. He doesn’t. But he does have Cheez Whiz. And it’s not even as if I could downplay my consumption of it. 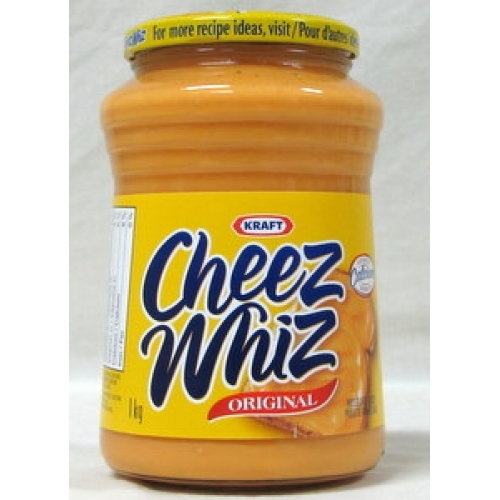 The lines go on to describe just how much I love, love, love Cheez Whiz and that it’s one of the tasty things of life. Thankfully my disgusted face could also pass as a “mmm, this is tasty” face. Although you wouldn’t know from this picture. I am fairly certain my director chose this scene just to see me suffer again. 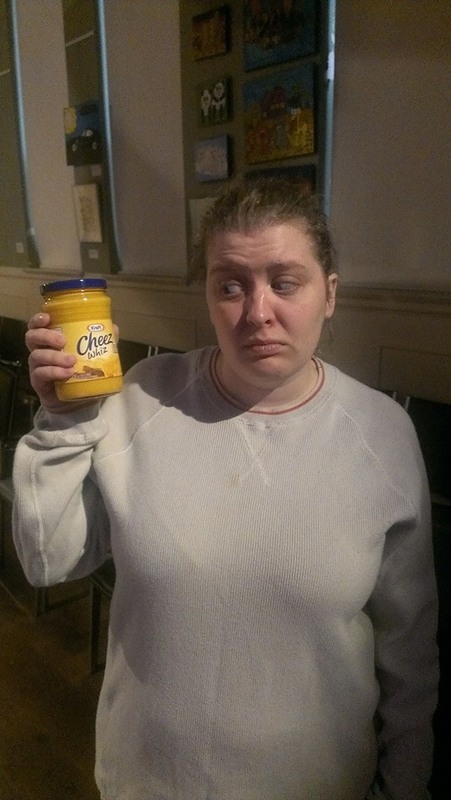 The other night we had a tech rehearsal and he wouldn’t let me eat the Cheez Whiz to get used to it because, and I quote, “I want to see you try not to puke dress rehearsal”. Other actors get a far different experience. They get to pretend to be monkeys, they have hilarious dinner table conversations about bag ladies, they even get to play GOD in some instances. Me? Cheez Whiz. The world is unfair. It is truly unfair. Seriously, stop ruining this food. But I will still do it. Sure, some of that reason is to prove to them that THEY CAN’T DEFEAT ME! But the other more important reason is that it’s for a good cause. I have watched what theatre can do for the street involved actors in our show, and what it can do for the audience members that show up, and so I keep down my lunch for their sake because watching them enjoy themselves makes it worth it. 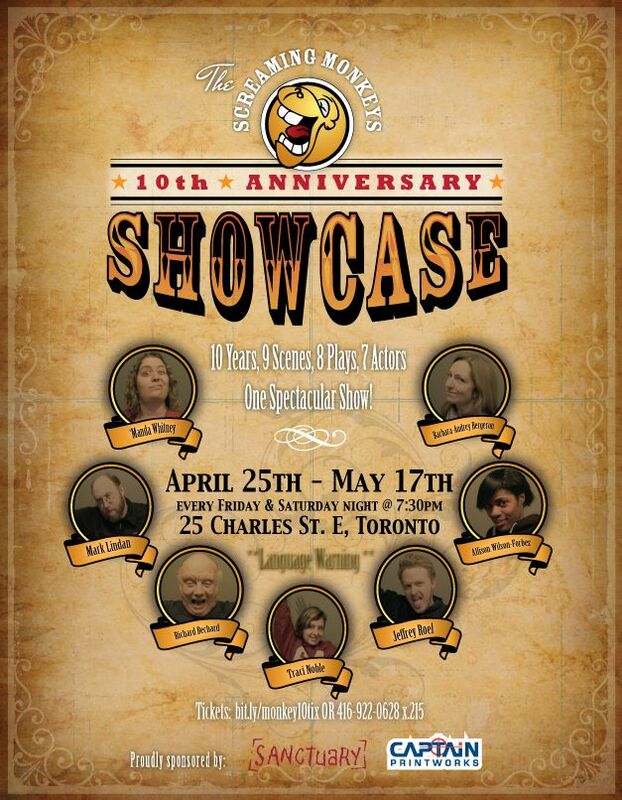 So if you are in Toronto, consider coming out to see this show to see me down a bottle of orange death and try to keep a straight face. That if nothing else will be worth your money. Helping the marginalized communities will just be icing on the cake. You can get the show details here. Or, if you’re not in Toronto, consider donating to the crowd funding campaign. It’s designed to be able to pay the actors involved a working wage, which is pretty awesome. The donation levels are pretty large, but if you scroll down, you can see a section where you can pay a smaller amount. 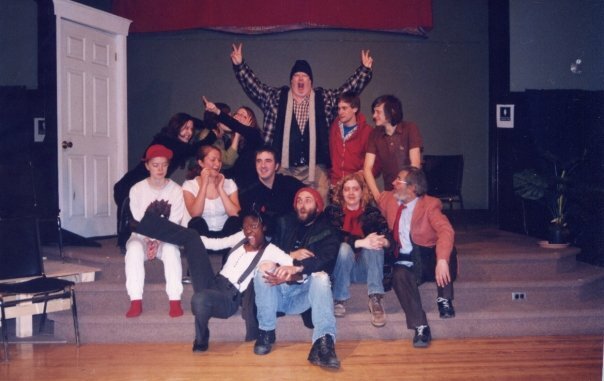 This is our cast photo closing night. I am smiling from relief that the Whiz ordeal is over. But seriously…who consumes anything with the word “whiz” in the title? The next time you decide it’s a good idea to eat it, I want you to think “Cheese urine”. Because that’s what it is. It says it right in the name. Not so good on toast now, IS IT?! Posted on April 23, 2014, in Projects, ramblings and tagged Cheez whiz, sanctuary, Screaming 10th, screaming monkeys. Bookmark the permalink. 2 Comments. Only cheese made outside of North America is worthy of the name… and pretty much any attempt made at “Cheese” by Kraft features high in the abomination category. Indeed! Truer words were never spoken.